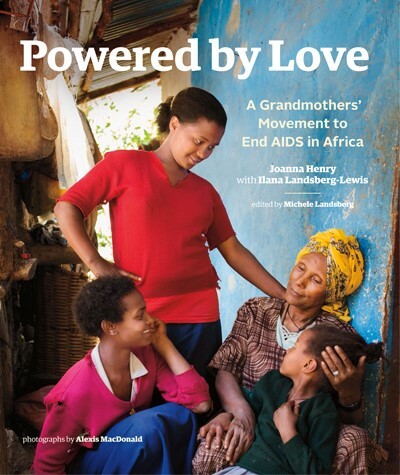 In 2005 a group of Nanaimo women were deeply moved hearing about the plight of the grandmothers in sub-Saharan Africa from Stephen Lewis. 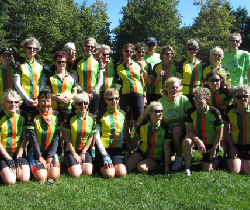 These women decided to become involved in the work of the Stephen Lewis Foundation. 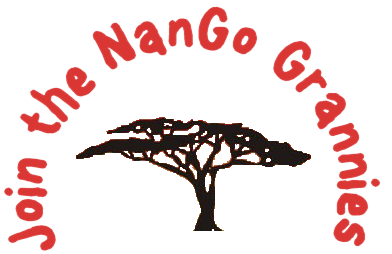 Gogo means grandmother in Zulu, so they called themselves NanGo Grannies and became part of the inspiration that led to the formation of the Grandmothers to Grandmothers Campaign. We are an informal group from many different backgrounds with many different talents. 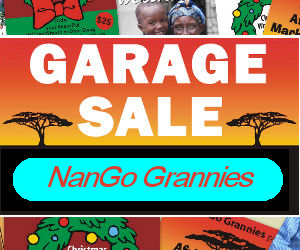 Since the beginning, we have raised money in many different ways: garage sales, beer and burgers, Chair Affair and African Markets. 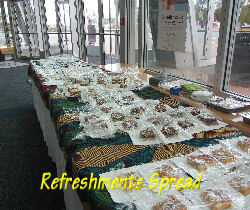 See our events page for more details. 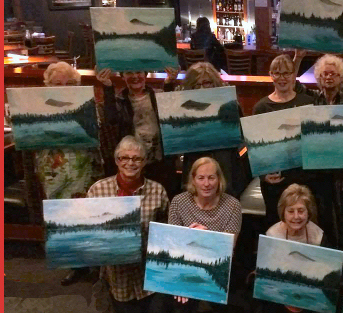 New members and new ideas are always welcome. 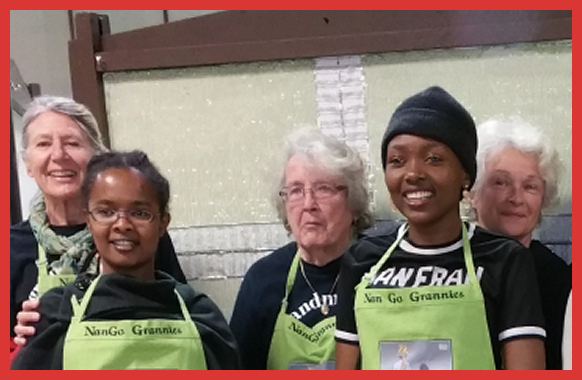 We are passionate about our cause, and like to have fun while we fund-raise! 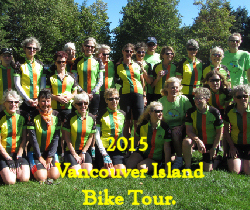 Click here for a review of Victoria Grandmothers For Africa's 10th anniversary bike tour including the participation of three NanGo Grannie riders. Jane Templeman, Patricia Hofstrand and Elizabeth Vreede. 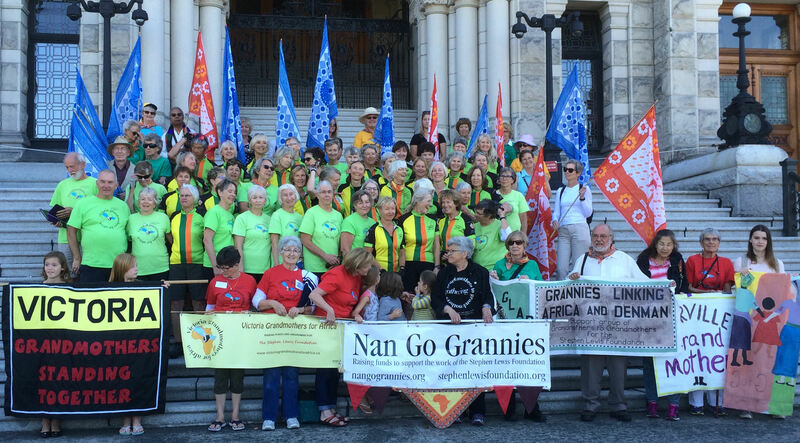 Bikers and their supporters on the British Columbia Parliament Building's steps after completing their three day bike tour this September. 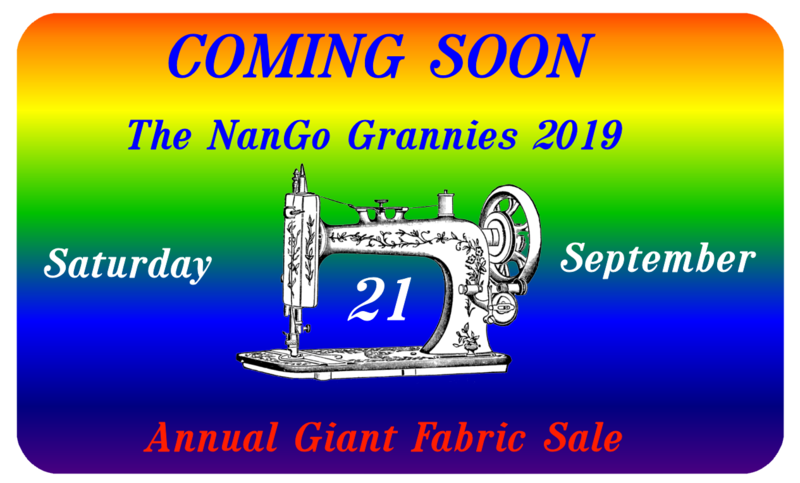 This year's 5th Annual Fabric Sale is being organized for Saturday September 21st, from 10am until 2pm at the Nanaimo Curling Club. Please review our Giant Fabric Sale video (link below) and follow all the links showing how you can donnate materials etc as well as download posters to help advertise this great annual event. Chris, Marlene and Sue model our newest sale item. 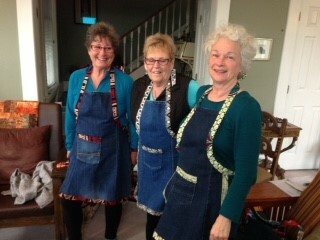 The aprons are made from recycled jeans and will be selling for $20 each. We also have a children size selling for $15 each. The first sale of these aprons was on May 27th during the Bake Sale at the Island Soul Concert (see above or click here for details of the Soul Choir Home Concert). 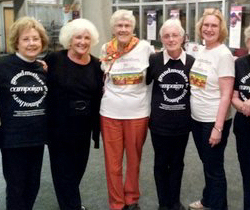 NanGo Grannies Fund Raisers over the past few years. 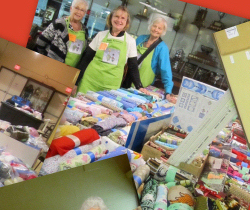 Go to our events page to see a fuller history of past events. 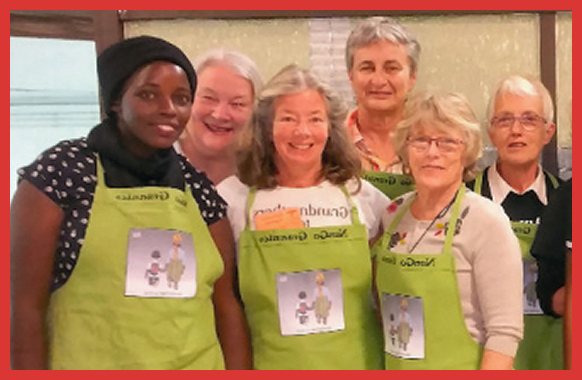 All monies raised on behalf of the Stephen Lewis Foundation's endeavours to help African Grandmothers caring for children orphaned by AIDS.